Zee Studios is a film production and distribution company in India owned by Zee Entertainment Enterprises. They make films in various Indian languages such as Hindi and Marathi, but have been also involved in international production. Manikarnika: The Queen of Jhansi is a 2019 Indian epic biographical period drama film based on the life of Rani Lakshmi Bai of Jhansi. It was directed by Radha Krishna Jagarlamudi, popularly known as Krish and actress Kangana Ranaut from a screenplay by K. V. Vijayendra Prasad and produced by Zee Studios, Kamal Jain, and Nishant Pitti. The film stars Kangana in the title role. To create buzz and get a good opening at the box office! 26th January is a national holiday, and no newspapers go into printing on this day, which in a way was a hurdle for the team as Sunday was a very crucial day for the film. Hence, the team came up with a strategy to overcome the absence of newspapers. Reviews would not be available to the audiences through newspapers on Sunday. So it was necessary to reach out to the right audience through social media platforms. Make film reviews available to the audiences in the absence of newspapers. Sunday was a crucial day for the film’s opening collection and it was essential to reach the right audiences at the right time. The brand identified 18 important markets in India, the target audiences and the digital platforms used by them. Depending on each of these factors the communication was customised accordingly. 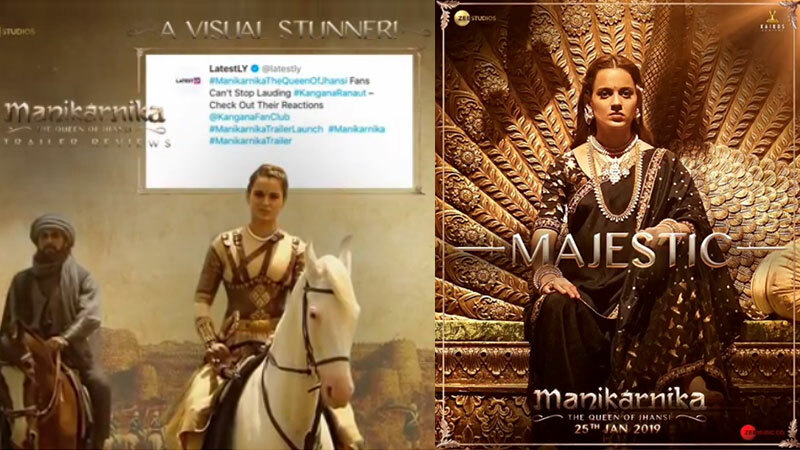 Regional markets played a key role in the success of Manikarnika and this strategy helped achieve it to a great extent. Reviews were made available to the viewers on their favourite digital platforms like What’sApp, Facebook, and Instagram via seedings and influencers in their preferred languages so that the absence of newpapers doesn’t create an obstacle in achieving the desired results. Prior to the release, Zee Studios started creating buzz on social media through countdown videos and other native push. Post release, they seeded interviews through Facebook publishers such as PayTM, Buzz 101, and Hum Indians. 28,25,721, with 41,73,950 impressions. Whereas on Instagram, the review by PayTM received reach – 13,65,760 and impressions – 15,67,645. Total number of posts for the campaign were recorded at 88,803, which garnered a reach of 466,483,086 and 1,617,356,707 impressions. The accumulated views on the campaign were recorded at 63,500,000. “Practically every Indian is on digital platforms today, which means they are spread across various platforms like Facebook, YouTube, What’s App, Instagram. Influencers also play a key role in this digital era. We believe in reaching the audiences where they are rather than expecting them to come to us. The platform, the language being used has to be customised to appeal to the users,” explained Manish Kumar, CEO & Founder, Digi Osmosis. “We wanted to educate the audiences but at the same time didn’t want the film to be preachy. The idea was to ignite the patriotism within us without making it sound like history lesson. So the entire campaign had to be planned with a similar approach,” said Neeraj Joshi- Head of Marketing, Zee Studios.